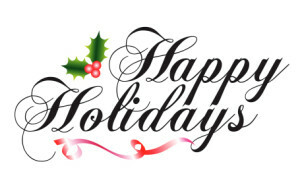 Happy Holidays from the team at Carteret RV! We are just getting back from an amazing RV show and ready to talk about the best-of-the-best in your RV enjoyment. We’ve been getting in some awesome 2016 units that we’d love for you to see! It’s all about timing, and buying your RV over this holiday season couldn’t be better timing!! Do you want to get a great deal on an amazing RV? We’re offering deals for newer and older units alike in the holiday spirit! This is just a sampling of the amazing deals available this holiday season. Stop by to take a look at all of our new and even used units at amazing prices! Carteret RV is a premier RV Dealership in Eastern North Carolina, providing the ultimate recreational vehicle experience. We offer new and used RVs as well as parts, accessories and service. Our featured product lines include Wildwood by Forest River, Woodland Park Homes, Canterbury Park Models and Trailers, Forest River Park Models as well as Viking RVs! We’re proud of our product offerings and ability to make a special order for you with smooth transition into your RV or park home experience. Stop by today and let us know about your needs so we can get you started in your RV Adventure! VISIT: 1082 Cedar Point Blvd. Posted in NC RV Dealership, Travel Trailers, Wildwood, Wildwood Travel Trailers by Forest River | Tags: Canterbury, NC RV sales, NC Travel TRailer sales, New wildwood RVs, RV Dealer in NC, Sales on NC RVs, Viking RVs, Wildwood Forest River sales, Wildwood RVs, Wildwood Travel Trailers, Woodland Park Homes | Comments Off on Happy Holidays and deals from Carteret RV!